Cat seems to remind him something with the sound of the packing tape. 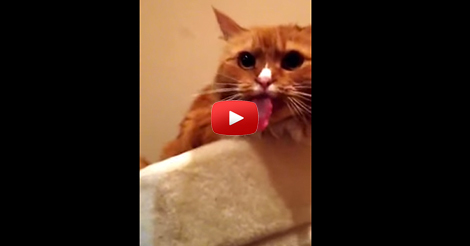 This cute orange fluffy cat sticks her tongue out and licks in the air every time she hears the tape being unrolled. According to her owner, she does it every time… without a miss. Whatever it reminds of her, her reflex every time she hears the sound of it is hilarious. Cats will always leaves us baffled. Their’s a reason why they are called crazy and peculiar… it is because of their weird actions and habits. Anyone who owns a cat understands their out of the world characteristics… and that’s the reason why we love them. COMMENT and share your cat’s weird habits. 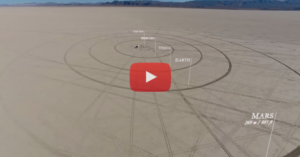 These Guys Built A Scale Model Of Our Solar System In The Desert. The Completed Project Is A Masterpiece!